"Emergency call out service very quick . Brilliant fault finding. Then they shoot off and get the required parts quick smart and get you going in no time. Booked in for replacement clutch and while there gave the truck a thorough check over, repairing all sorts of issues from broken mirrors through to oil leaks. Windscreen chipped, oil low, clutch pedal rubber etc. on for only 5 grand and it's now ready for resale if needed. Finally a mechanical service that actually fixes stuff not just talks about it. Costing reasonable only charged for what was supplied or done. Overall rating 100%." 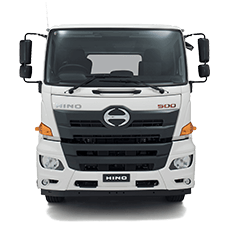 I bought the business at the time and used WA Hino to service my vehicles, I have continued to use them and found the service department excellent to deal with and always willing to help. 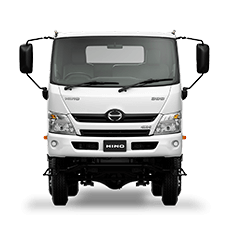 "Took my Toyota Dyna 4Tonne Tip Truck in with numerous issues for a major service on 23/02/15. I have never before found a company and staff who delivered both professional level customer service and unmatched high quality vehicle service and repair. The staff were friendly and helpful even when through my own fault I took the vehicle back due to exhaust brake not working. The friendly staff liased with the mechanics and found that driver error (me) altered the idle setting which disabled the exhaust break, they were quick to fault find this and didnt make me feel stupid about it either, I apologised and thanked them. I am happy to say that they worked wonders with my truck, were extremely thorough, kept in contact during the service to discuss issues as they were worked on at my request, my truck has almost twice the power it previously felt to have, handles much much better and really looks the part with a nice clean. To get my approval is hard, but to be professional and helpful during a complaint situation as well as everything else for a fair price, I will always recommend WA Hino in Welshpool, Kewdale Rd. Thank you to all the Mechanics, Auto Electricians and Service Personnel who I dealt with." 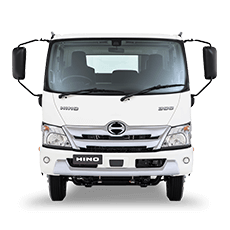 "The service from WA HINO surpassed all expectation for a retail truck yard. 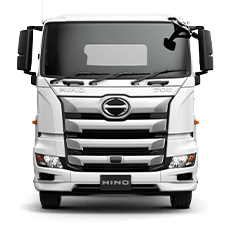 Our sales person, Ben Bastian, provided professional and friendly service during our brand new Hino 300 series crew cab xlong tip tray purchase; a smooth and enjoyable transition. We also would like to recognise the service from the finance branch particularly Andrea Hayton. Thank you for prompt service and accommodating us by coming in on Saturday. 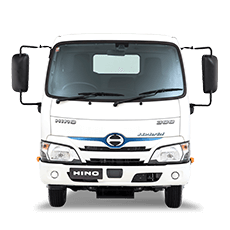 AddScapes Landscaping will return to WA Hino for any future business and can recommend anyone who reads this, you will not be disappointed if you also decide to purchase a new or used vehicle."